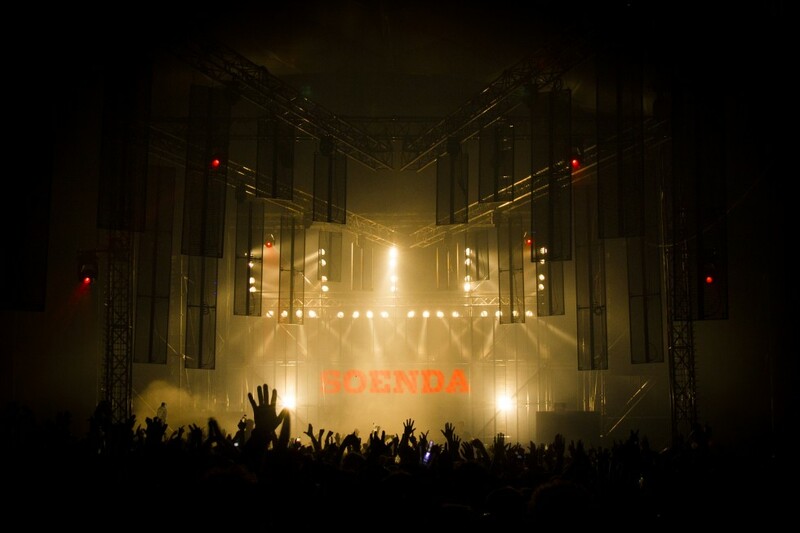 Since December 2012 we have been resident visualists at all Soenda events. 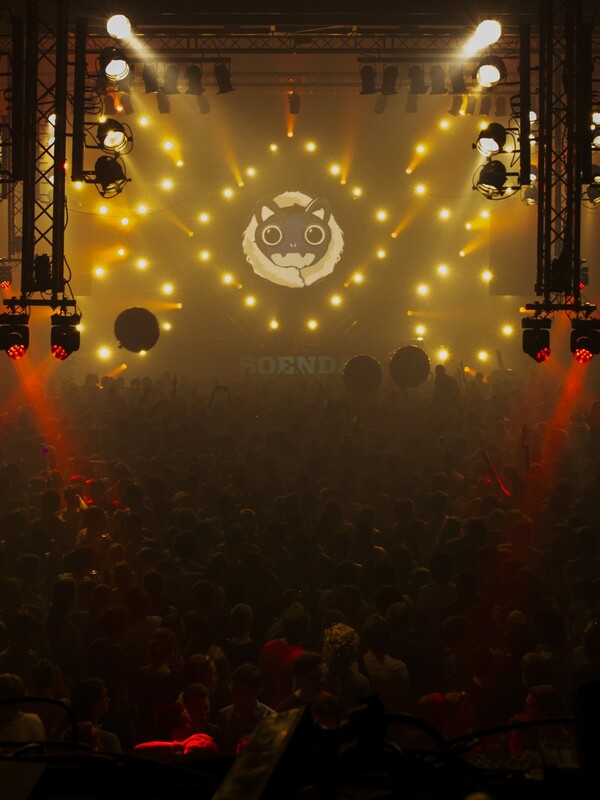 Soenda is the primary techno event in Utrecht, with at least two indoor editions and a summer festival every year. 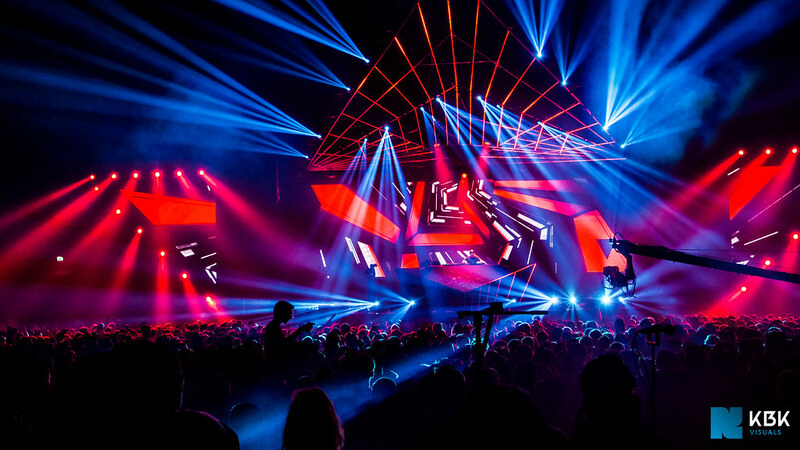 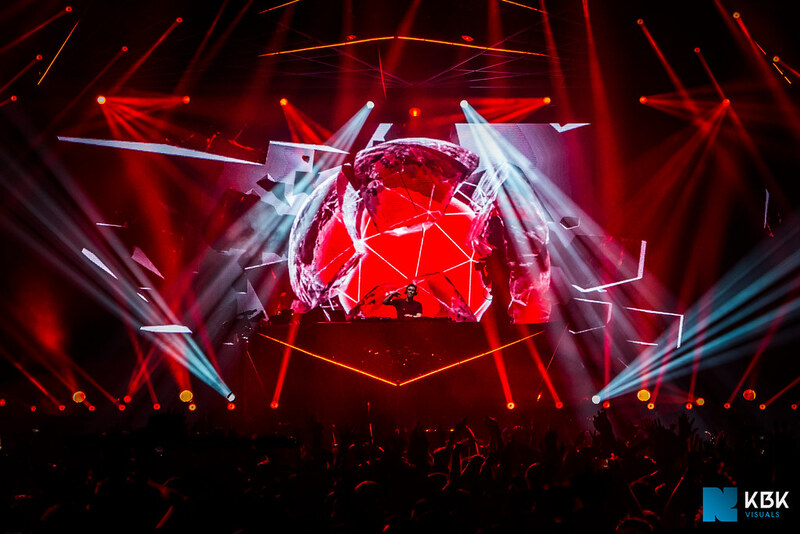 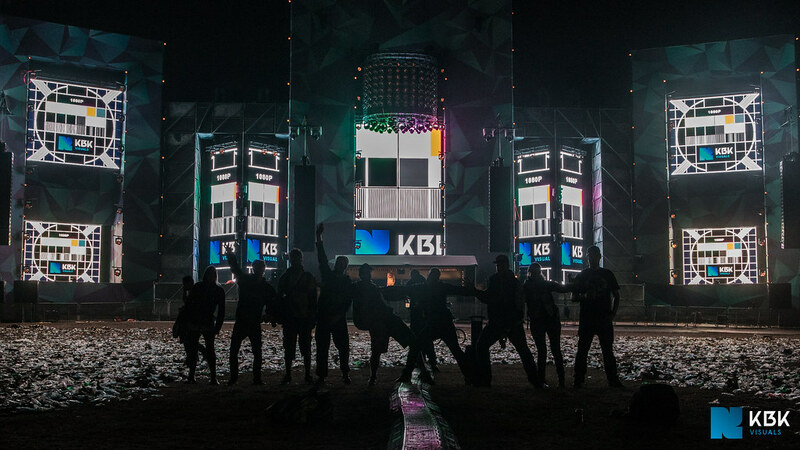 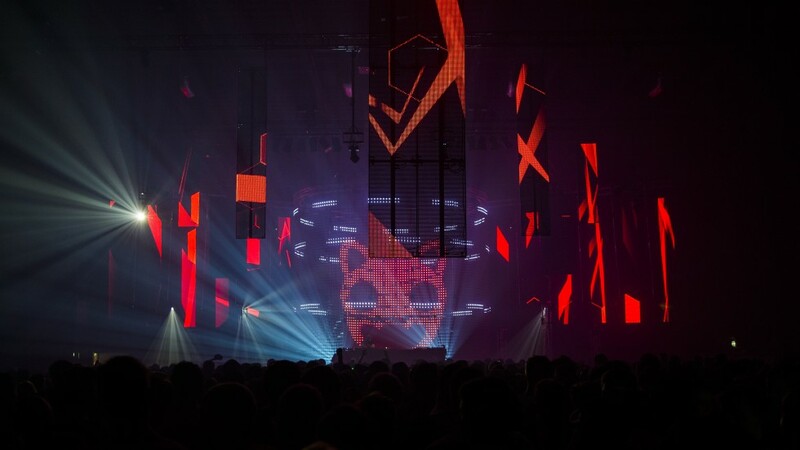 Working closely together with Ledlease, we always aim to deliver the physical LED stage design and the visual presentation of live mixed imagery as an inseparable fusion of techniques. 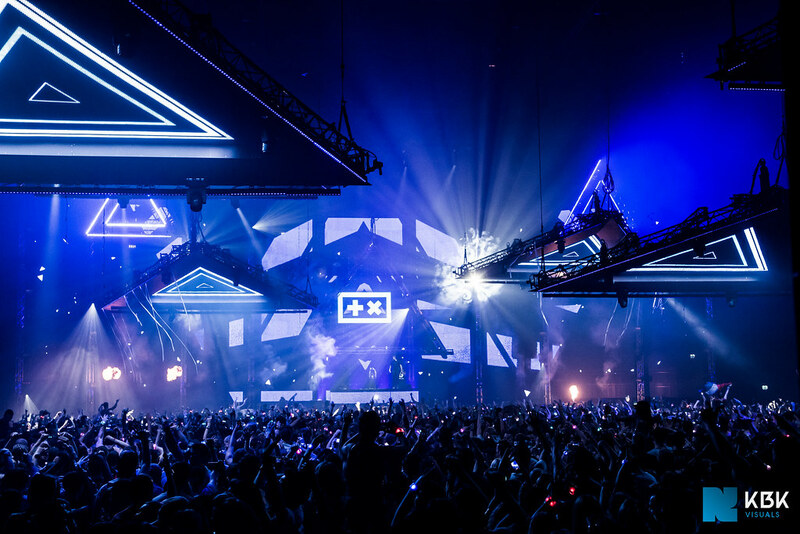 Working and thinking this way makes every edition of Soenda a unique audiovisual experience. 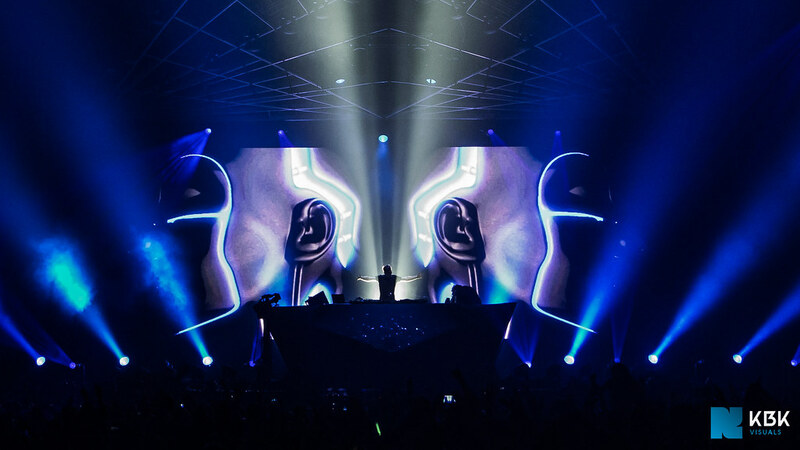 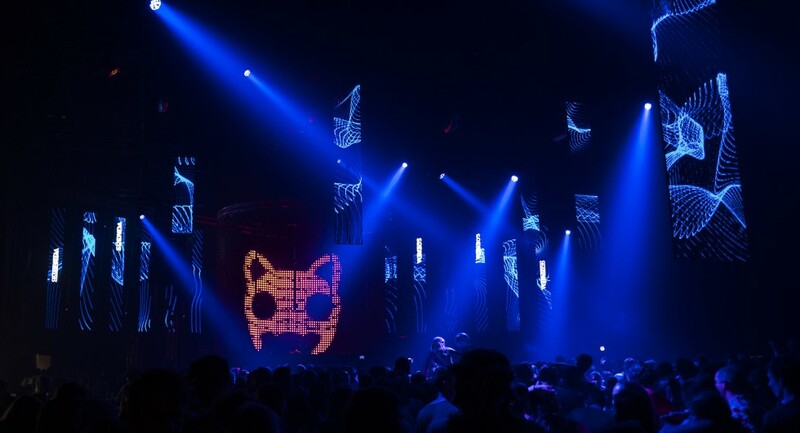 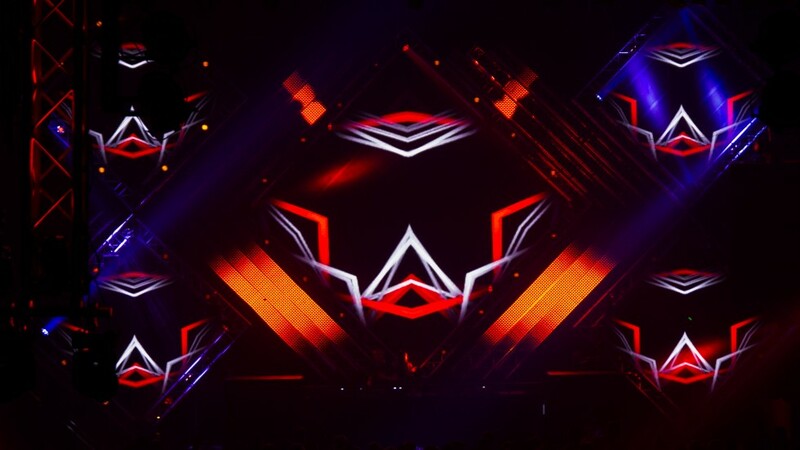 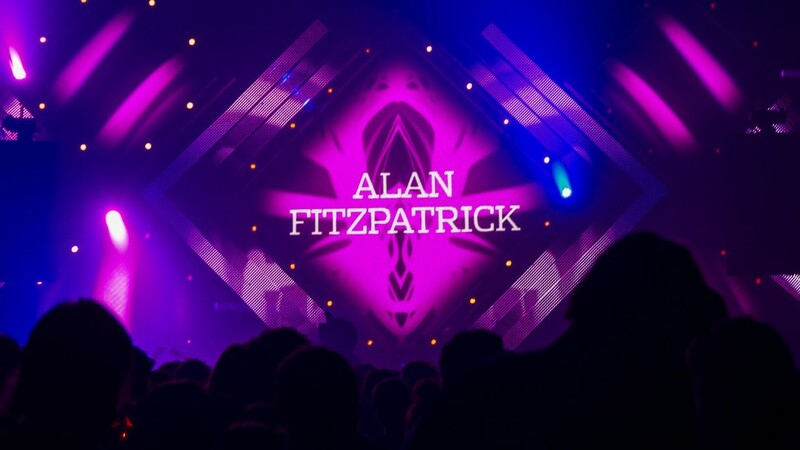 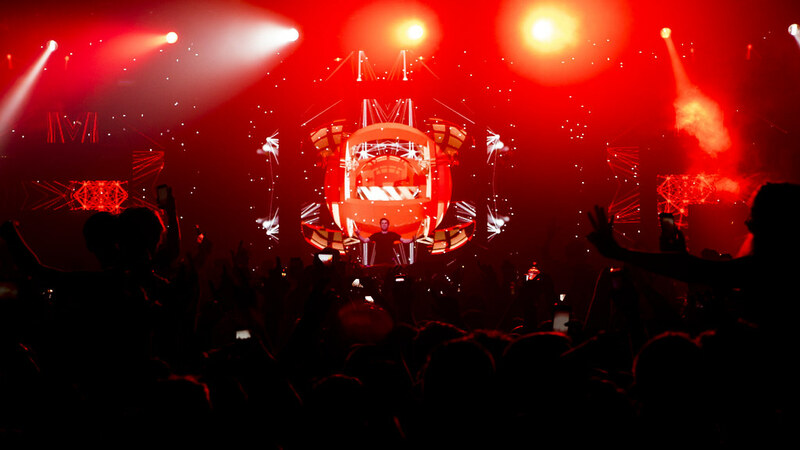 At the 2013 November indoor edition we worked with a huge cylindrical 360° transparent LED screen around the DJ as the center piece of the stage. 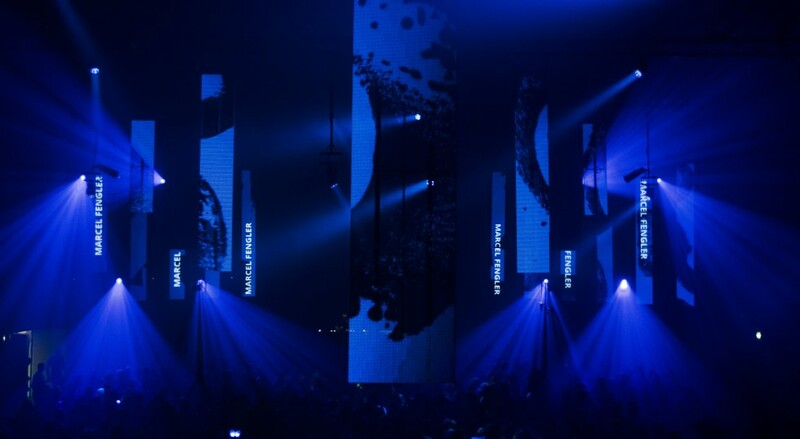 High resolution LED columns were positioned at the wings of the stage and above the crowd. 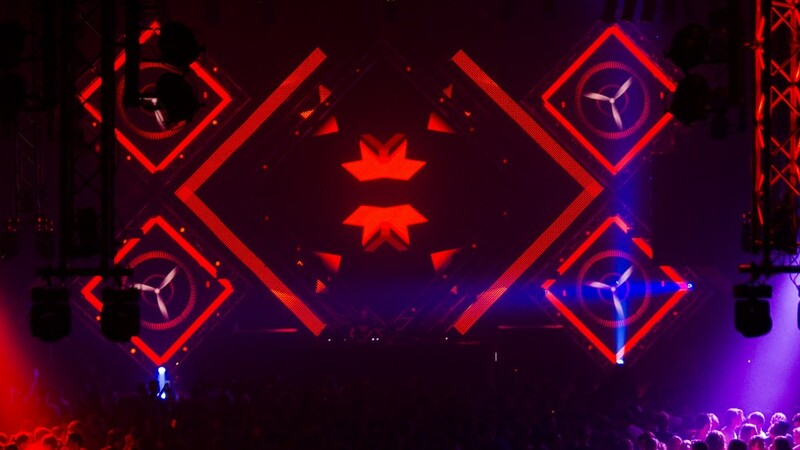 All those elements, whether separate or combined, gave us many options to create a dynamic visual show. 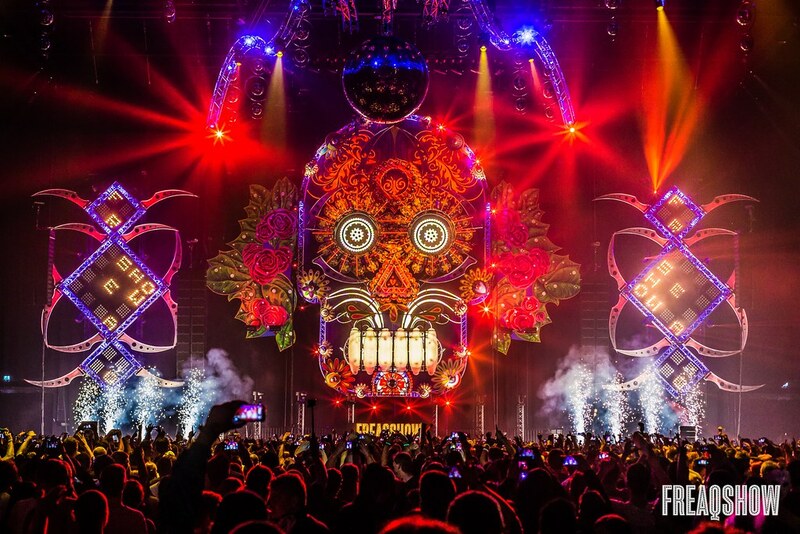 Have a look at the photos below or check the complete high res photo collection here. 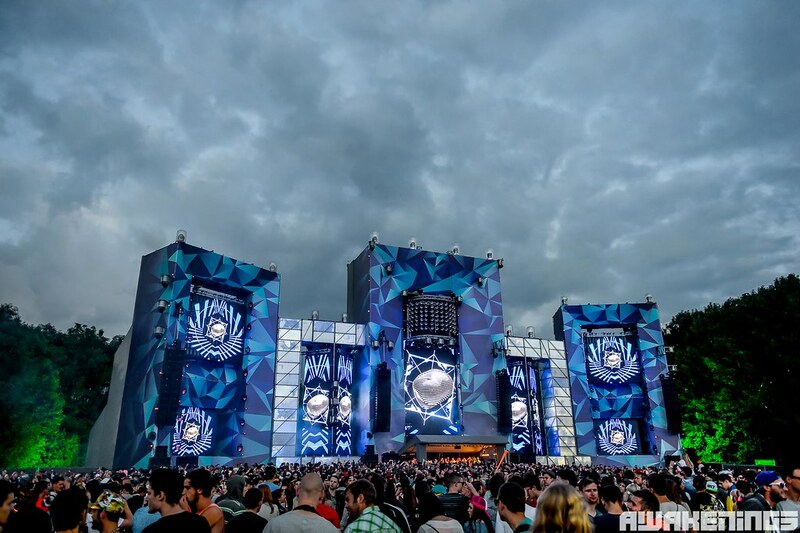 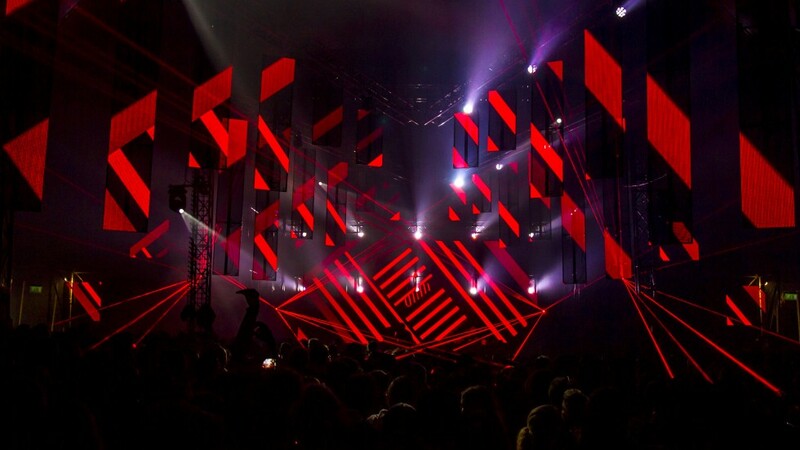 For the 2013 summer festival edition we worked on an extended LED setup in a medium sized tent, which resulted in high levels of visual immersion. 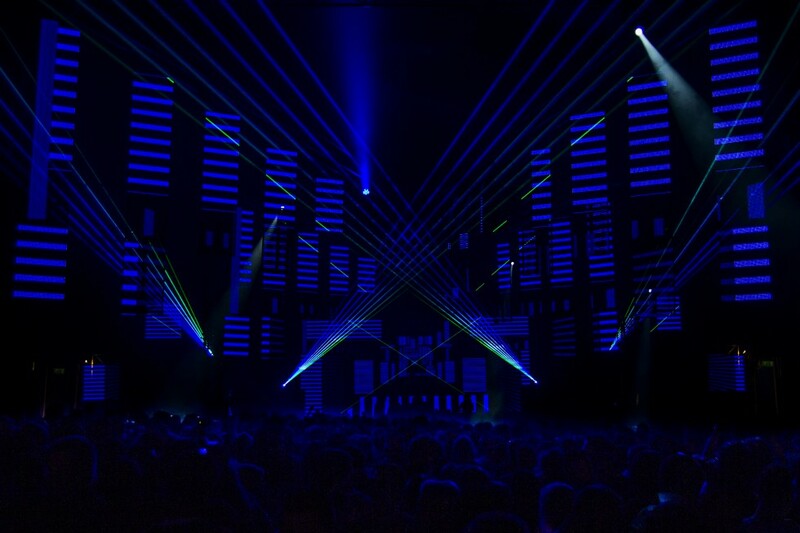 LED columns were situated above the crowd in arrow-formation, pulling the live visuals from the screen on stage -stretching over the heads in the crowd- to the back of the tent. 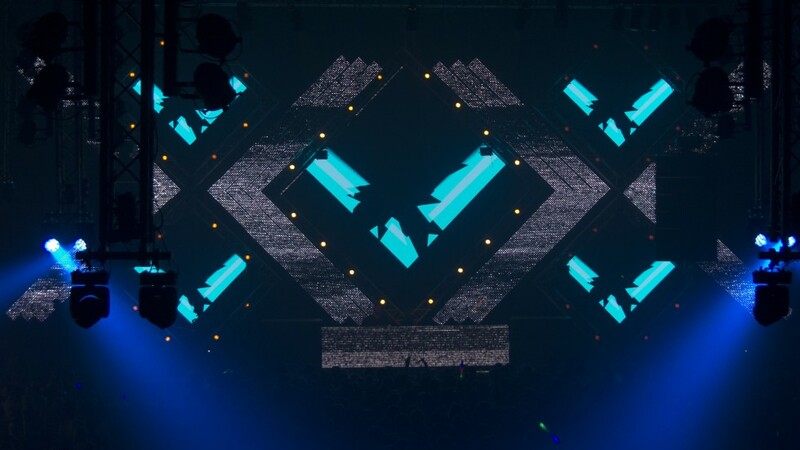 We used advanced scaling techniques to achieve a continuous image on this fragmented LED-setup. 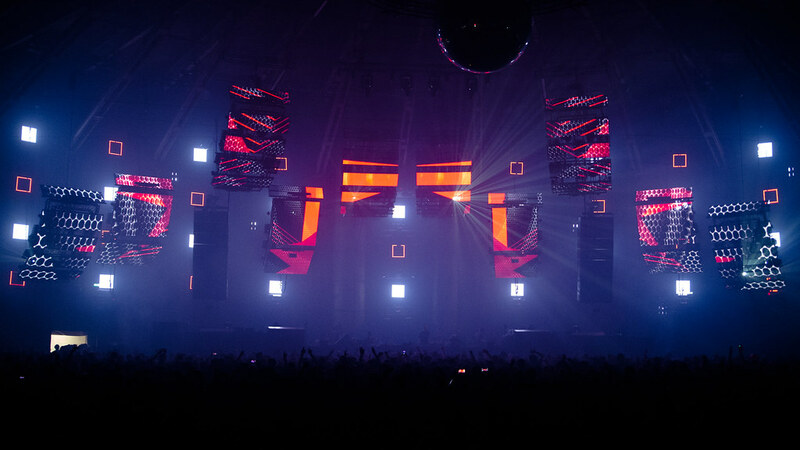 Have a look at the the photos below or watch the full high res photo collection here. 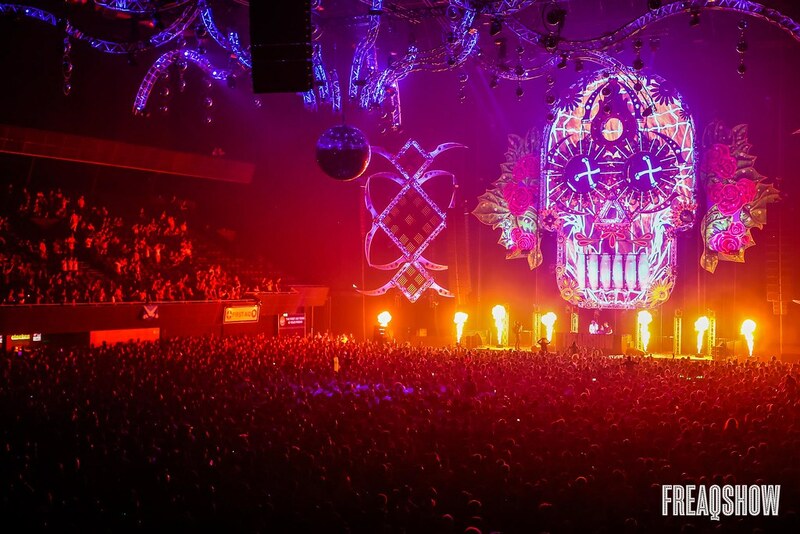 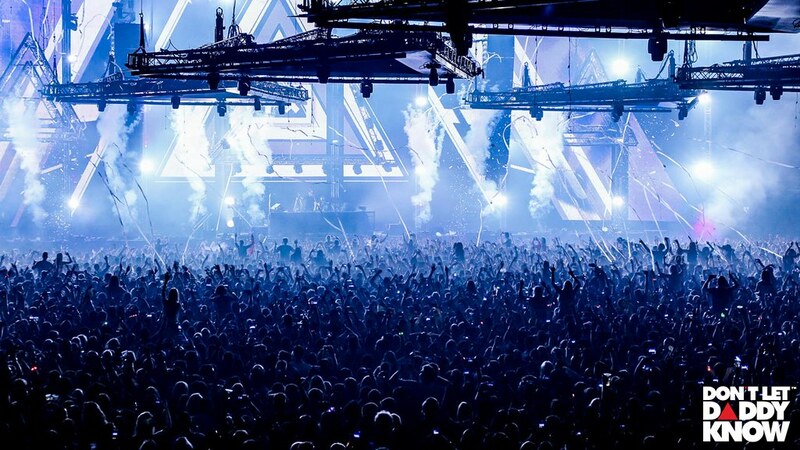 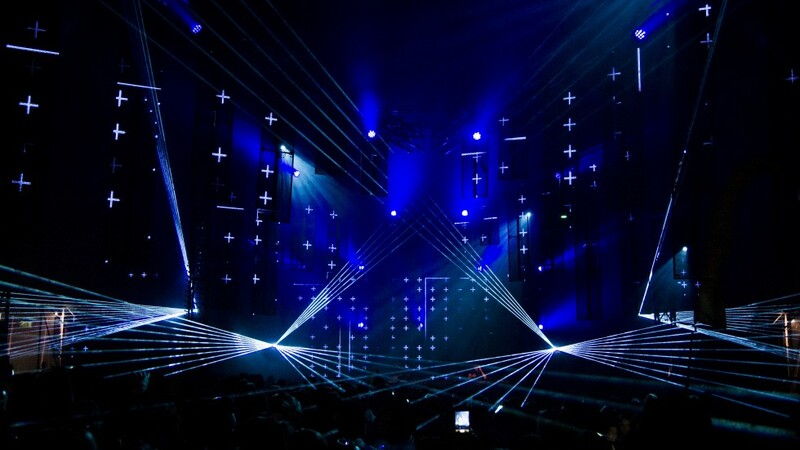 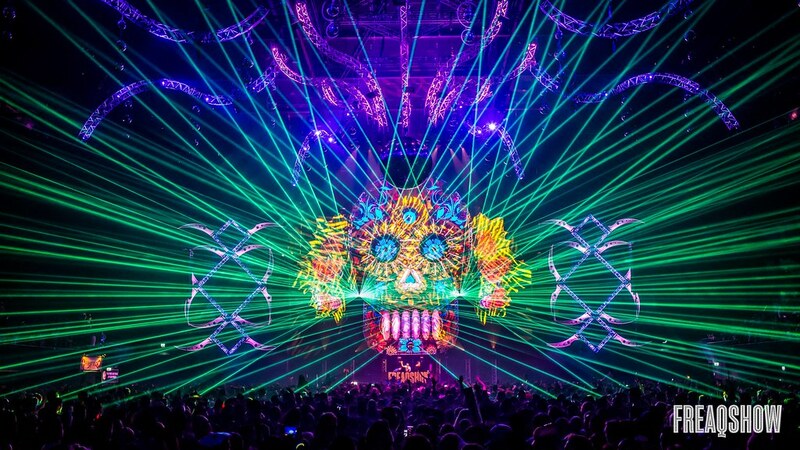 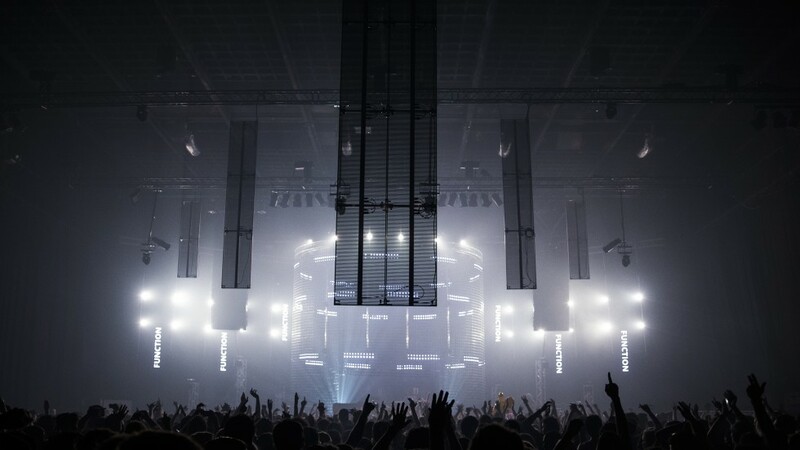 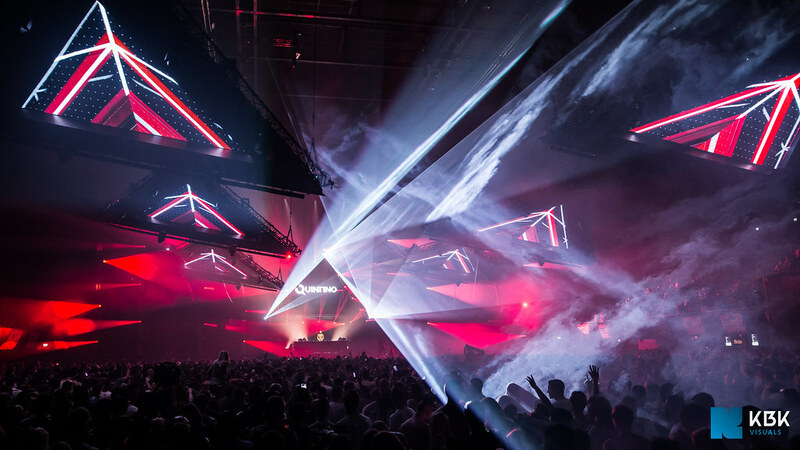 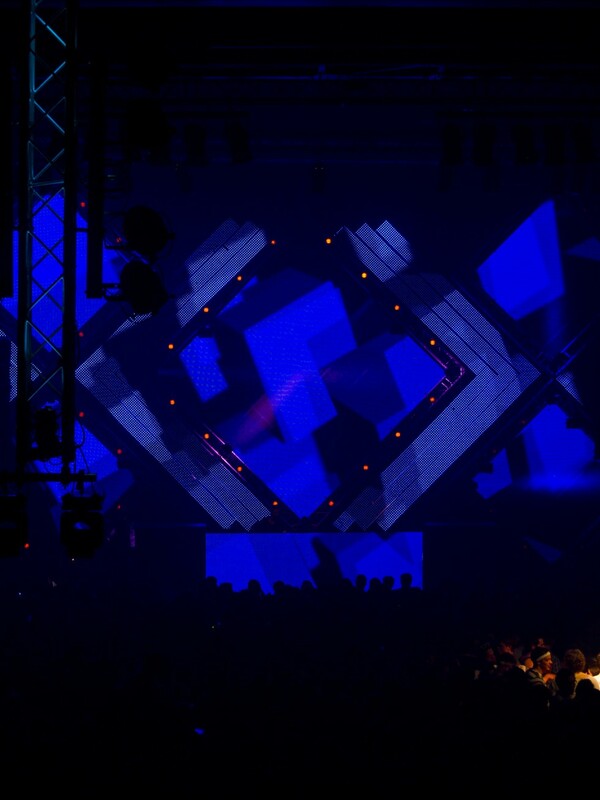 Early 2013 we designed the stage for the Soenda Indoor February edition, using two different LED panel types with a 6mm and 37mm pixel pitch. 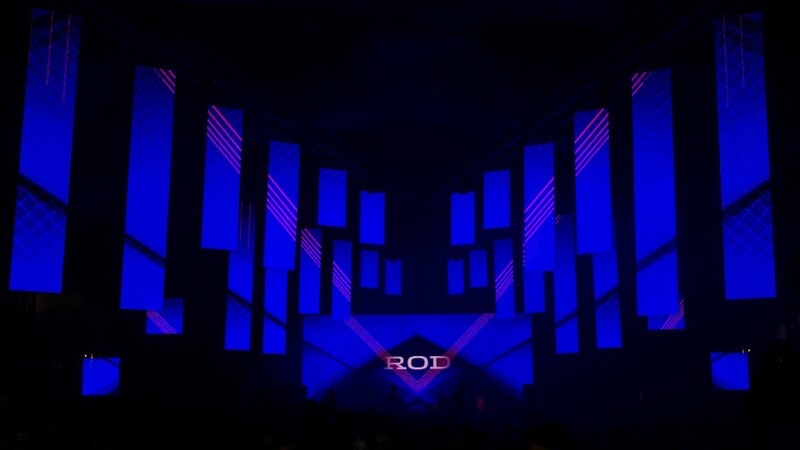 We challenged ourselves to use the LED setup in as many different ways as possible by mixing different video scalings and inputs onto the various LED panels into a coherent visual show. 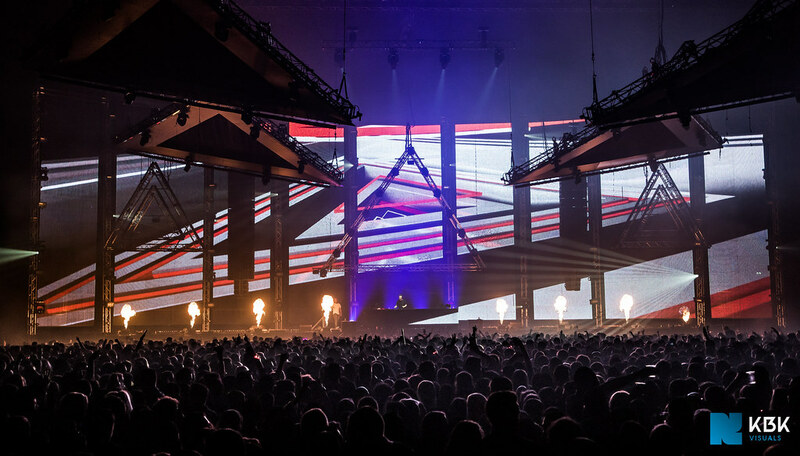 Check out the photos below for an impression or check the complete high res photo collection here. 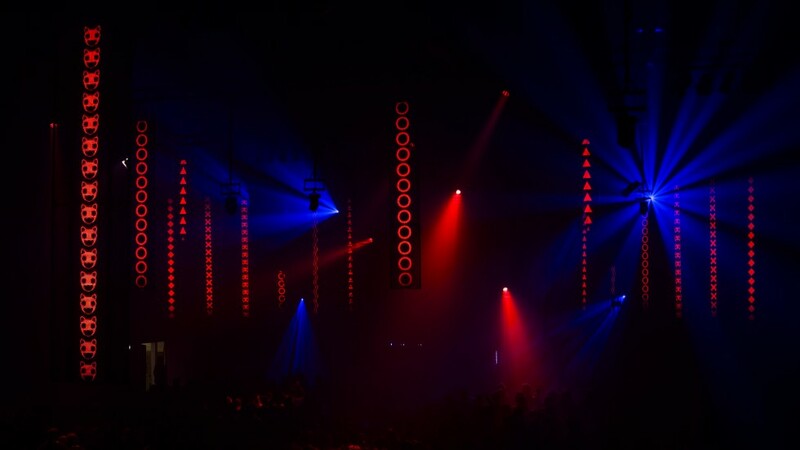 For more photos check our photo or facebook page!